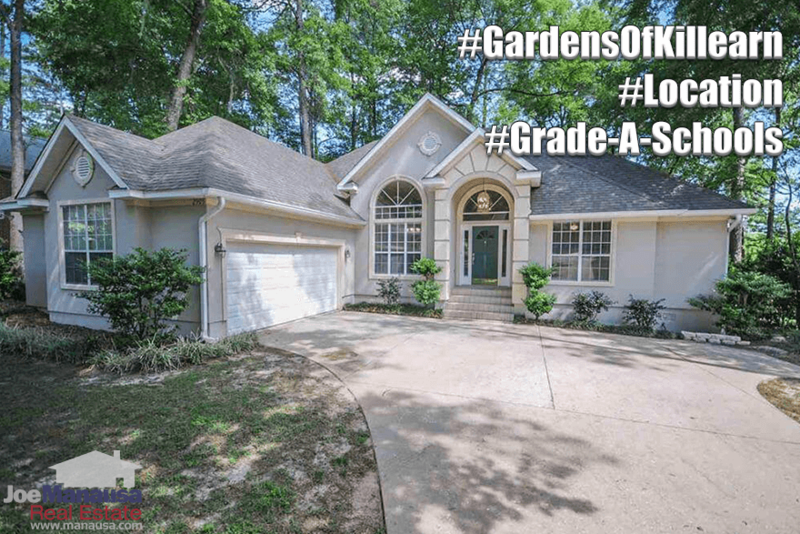 If you are interested in finding a nice 3 or 4 bedroom single family home in Northeast Tallahassee, the Gardens of Killearn has three great opportunities right now. And just like the rest of the Killearn Estates community, buyers are drawn here for its location, location, location. 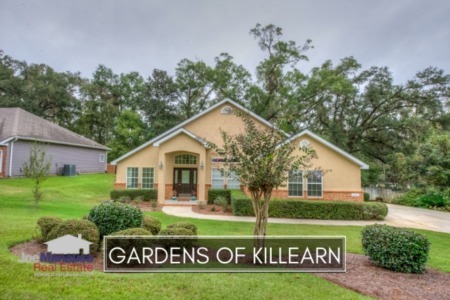 The Gardens of Killearn serves as the southeast boundary of Killearn Estates, and as one of the final developments there, has some of the newer home (mostly built in the 1990s or a little later). 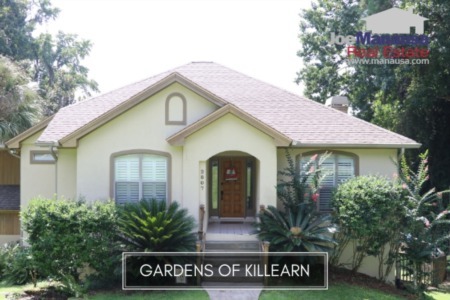 The following list of homes are the most recent listings in the Gardens of Killearn. In this report, we will look at long term average home price trends, value trends, and size trends of homes sold in the, as well as all current listings in the Tallahassee MLS and all closed home sales going back to 1991. It is important to note that the narrative contained below is for sales through December for all previous years, but only through the 24th of December in 2016. The graphs and the closed sales table will be continuously updated into the future (meaning bookmark this page if you always want to know the current status of homes in the Gardens of Killearn). The average existing home price is $267,883 for the Gardens of Killearn thus far in 2016. This is up another 2% since our report in July. Home sales activity has gained strength, and the neighborhood is now selling at its expected stabilized rate. Sellers who market and price their homes correctly can sell their homes immediately due to the high demand for this area and price range. There have been 24 closed home sales in the Gardens of Killearn through the writing of this report. Average home values in the Gardens of Killearn continue to rise. The average value of a home sold in the Gardens of Killearn in 2016 has been $121 per square foot. I believe that increased demand (coupled with lower inventory) are going to push these homes higher next year and entice more sellers to test the market. If a smart seller enters the market correctly and appears to be a good value, a quick sale is likely to ensue. The average home size sold in the Gardens of Killearn typically falls in a range of 2,100 to 2,400 square feet, and this year homes have been just slightly smaller than average. The average home size sold in the Gardens of Killearn this year has been 2,214 square feet. The following list shows nearly 700 home sales in the Gardens of Killearn since 1991. I hope you enjoyed our December 2016 update on home sales in the Gardens of Killearn, please feel free to drop me a note if you have questions not covered in this report.